Small Businesses count on social media for advertising. It’s free, it’s easy and it can reach the four corners of the globe. 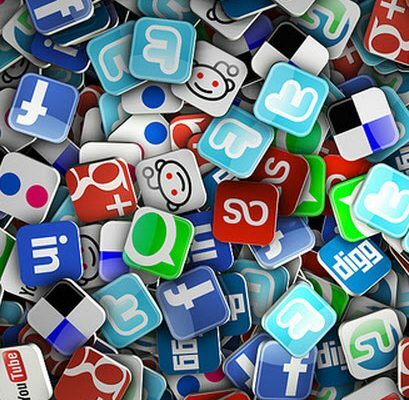 Here are the most popular social media platforms that you can use. You can never go wrong with Facebook. It is the largest social media network (Fortune 500). Facebook’s atmosphere can create a wholesome and approachable feel to your clients by getting more personal with them through sharing content, chatting and private messaging. Uploading pictures of your organization’s activities will help your clients get to know the people behind your company. Twitter is more immediate. If you want to communicate with your clients right away then twitter is for you. You can tweet your latest updates, news, events, and if clients have questions then they can have their answers right away just be sure that you are able to answer their queries instantly. You Tube has more than a billion unique visitors each month. People prefer videos compared with text-form advertising because it’s more attractive and exciting. Just be sure that your videos are not too long, that would be boring. Just be creative and make it short. If you are in the B2B business then this is for you. It’s like Facebook to the business world. You can check out resumes, and enter groups. These groups can help you get connections for your business. Establishing rapport is very important especially if you are looking into hiring someone. If your business caters more to the female demographic then choose Pinterest. About.com describes it perfectly as “digital scrapbooking”. Businesses or brands that can be marketed perfectly through pictures and images will be perfect for this, like if you’re into planning events, interior decorating, fashion or food. So what they can do is pin images, videos and photos in their pin boards. Instagram is photo sharing with cool effects to your photos. Like Pinterest, businesses that can utilize photos for advertising will be perfect for this. Hotels, products and other businesses with scenic properties will be perfect for Instagram.